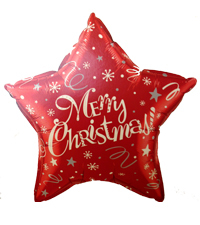 A foil Christmas Balloon filled with Helium and tied to a weight. A Perfect finishing touch to any floral Gift. Add on our luxury ‘Skellig’ chocolates truffles for that extra special touch.